He is mealy a strand in it. This year, Sense of Place Learning was invited to create an interactive art installation, in partnership with the Children’s Museum, at the Three Rivers Arts Festival. The designated site was a lovely corner of State Point Park — a circular, grassy area, surrounded by a small stand of trees, overlooking the Allegheny River. We proposed a concept that we hoped would take advantage of the site’s natural qualities; build a sense of community among festival-goers; draw attention to the fragility of the natural world and our responsibility to be good stewards of the earth; and be sustainable, interactive, colorful, creative and fun. The word mandala is from the classical Indian language, Sanskrit, and loosely translated means “circle”. The mandala design, radiating from a center point, is well-known as a symbol of whoness and unity. The mandala design is also reflected all around us in the natural world. For two weekends, children, adults, and families brought their creativity and imagination to the project. 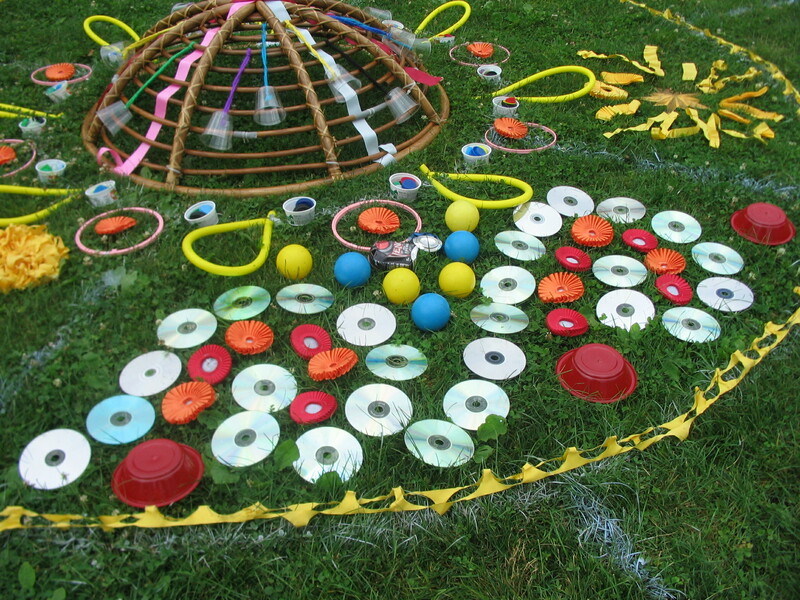 Each day using an array of recycled and/or reused items to create a beautiful, original, temporary piece of community artwork. We were especially lucky to have Jeff Berman, a wonderful Pittsburgh musician and percussionist, on hand to lead visitors in a Rhythm of Life Experience — filling the air with joyful rhythms, made on paint can drums and bottle shakers. We had a great time (despite a lot of rain and hurricane warnings!) 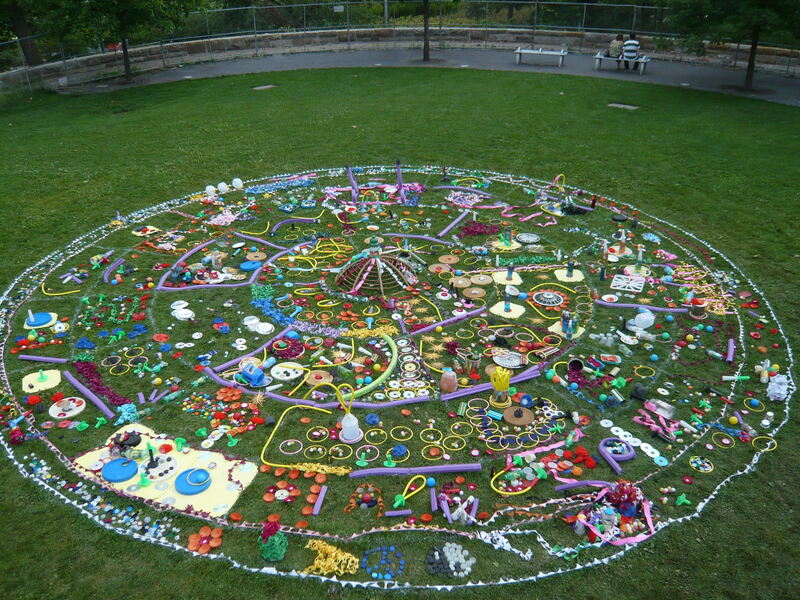 and want to thank all the families, kids, and adults who stopped by to add their part to the community mandala project. We also want to thank Jeff Berman for the great music, and the Children’s Museum staff for rounding up so many colorful and interesting reused/recycled arts materials. Fantastic! Creative! Caring! I’m impressed.